BJC - Way to Grow Pediatrics (O'Fallon) - Book Appointment Online! As mothers ourselves, we realize that parenting can be the most difficult -- but also the most rewarding -- job ever undertaken. We hope to partner with you in this task. 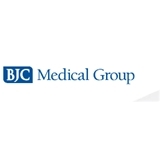 The pediatricians of Way to Grow are proud members of BJC Medical Group. Dr Blythevis absolutely awesome! She has delivered and been both of my daughters dr for the last 11 years! Very professional and knowledgeable!